Coolutils EPS Viewer is a free app to help you open and view EPS files on your Windows pc. You don't have to search and pay for an app that supports EPS file type. If you need just to view layouts and colors of an artwork, use Coolutils EPS Viewer. If you got a EPS file from your designer or friend and can't open it, it means that you don't have a special app installed. By default, Windows won't open EPS. Would you waste over $100 just to open the file? No. Use our free Coolutils EPS Viewer instead. 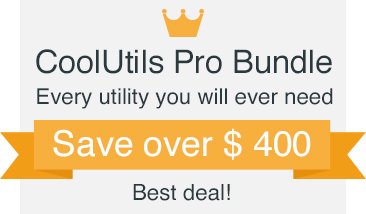 It's absolutely free for home users and very affordable for commercial use. Download it right now and view your files in folders. Two preview modes are available for your convenience: List and Thumbnails. 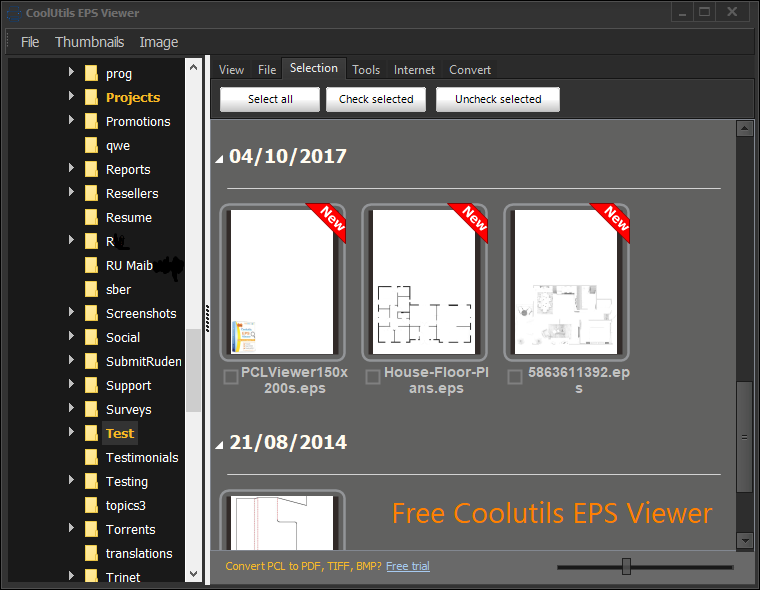 Use Coolutils EPS Viewer to organize your files. Copy, move or delete EPS files right here. P.S. Want to save EPS as PDF, DOC, TXT, HTML, TIFF files? Try our Total PDF Converter.